Hi lovelies! Happy Sunday! I hope you've all had a fab weekend so far, I myself have had a lovely couple of days, out for dinner with Darren for Valentines day followed by a pamper day with my Mum yesterday then an impromptu night out with friends last night. If you follow me on twitter and remember my tweet saying I was looking forward to a chilled out weekend in after a busy week, turns out I lied. Anyway! 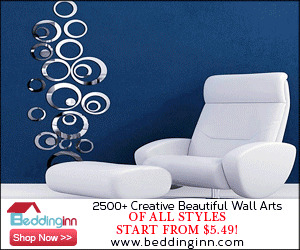 It's finally time for another Beautiful Bargains post! I haven't done one of these for ages, but I really loved doing them, so recently, when I was out shopping in town and I popped into a shop called 'Savers' (I'm not sure if these are everywhere, but I know there are a few dotted around Essex and Hertfordshire!) and I came across this gorgeous looking shower gel, I knew it had to be shared. At a very quick glance, I thought it was a Philosophy shower gel and got very excited. 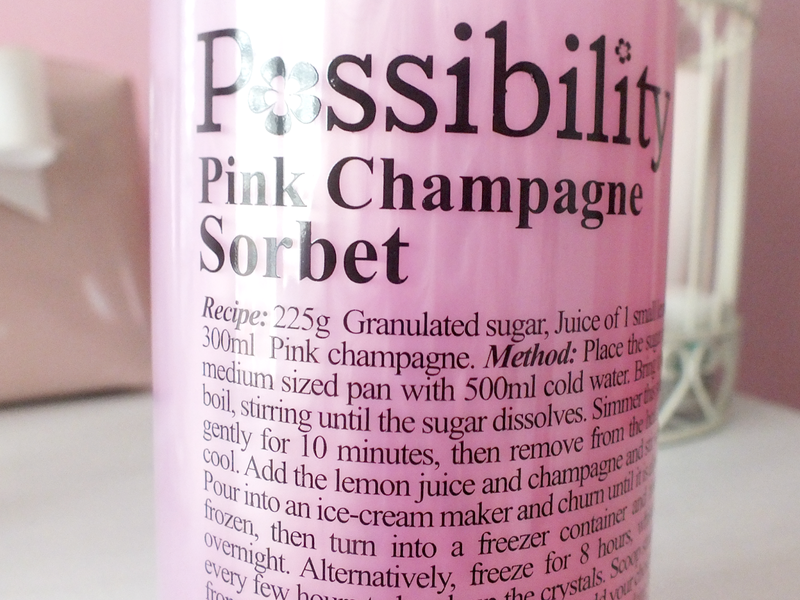 I then realised it was a dupe brand called 'Possibility' and was only £1, even more excited! This little beauty is called 'Pink Champagne Sorbet', which honestly could not be more me. It smells yummy, it's pink and it's slightly relevant to the party girl in me. Love. It. This smells absolutely gorgeous, really fruity and pretty, with an actual hint of champagne (or just alcohol, but never mind that, it really is lovely). It, like Philosopy, has a 3 in 1 formula and is a shampoo, shower gel and bubble bath all in one. I've not used this for Shampoo yet, as I can be quite fussy with shampoo at times, but I am going to try it, purely because I want my hair to smell like fruity pink champagne! In the bath and as a shower gel though, this is amazing, it lathers up beautifully and makes the entire room smell fab. It's paraben free and very gentle on the skin, so despite it being a cheapy shower gel, I don't think you'd need to worry if you had sensitive skin with this one. Overall, for a measly pound, you can't really go wrong, so if you get the chance to try this, I'd thoroughly recommend it, particularly for all you super girly girls out there! It'd also make a fab addition to any gift, as it looks a lot more expensive and luxurious than it is - bonus! This looks gorgeous! :) I sometimes can't believe that the £1 shops have such amazing beauty products! Oh wow, what a bargain! There's a Savers local to me so the next time I pop into town I may have to see if they have it in stock! I love Philosophy but the price tag can put me off unless it's during Christmas! Loving your blog at the moment, recently featured you on my blog. Would love for you to see. This looks lovely! 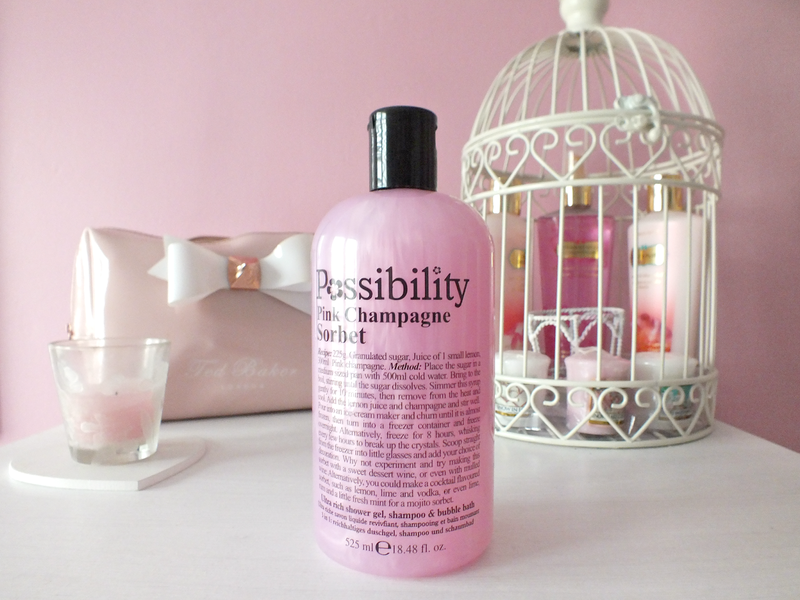 I have some of the 'possibility' mini body lotions which are lush! Oooo intriguing, I will keep an eye out for this for sure!